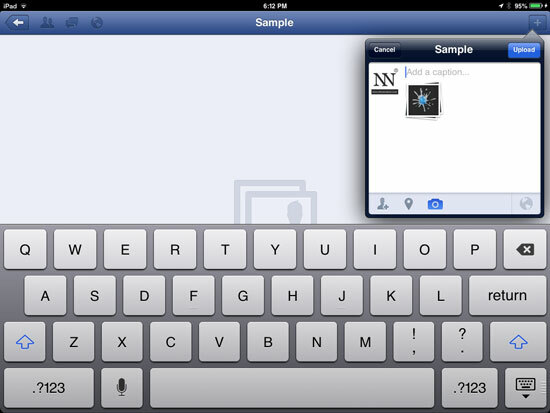 Uploading photos using your iPad/iOS or Android devices is quite simple, just make sure to install first Facebook app on your device. 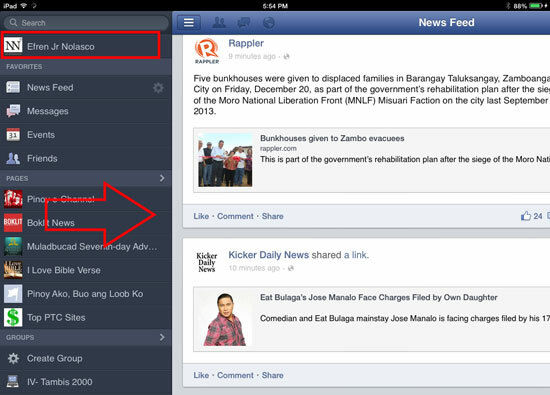 You can download the Facebook app for free in the AppStore and Google Play. Although there’s a little different when you upload photos using your PC or Mac, in this post you will learn how you can easily upload your photos using your mobile phones. All you have to do is follow the simple steps given below, to understand well, I separate the iOS and Android instructions and include screenshots. Go to your profile, just swipe from left to right to reveal the menu where you can tap your name, see the screenshot. 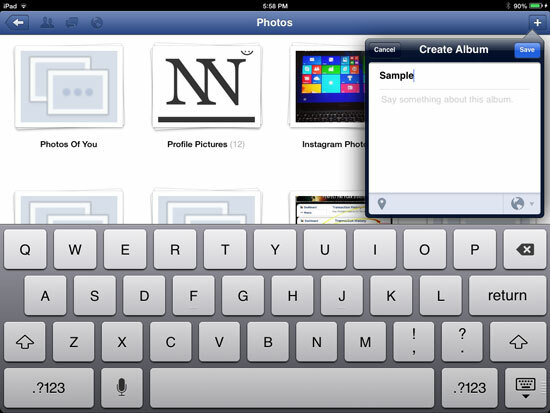 Create Create new album for your new photos, tap on “+” at the upper right corner of your screen, see the screenshot. Write the Name, Description and select who you want to see in your photos by tapping on the globe icon, then click “Save”. 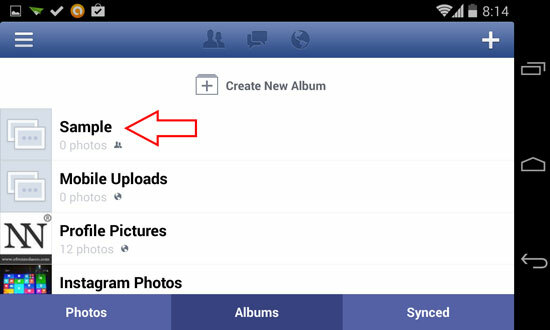 Tap the Album you created to upload or add photos. To add a photo, tap on the “+” at the upper right corner, a window will pop up where you can select your photo from the library or take a photo. 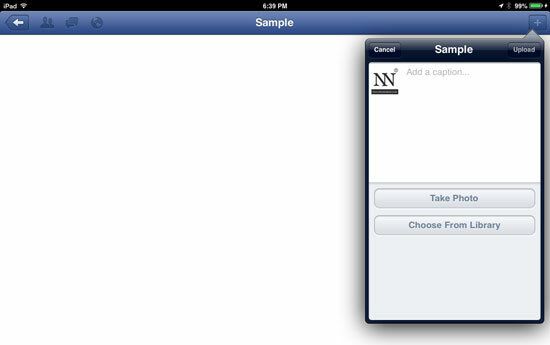 Add the photo that you want to upload and put captions if you want, then tap on “Upload” button if you’re ready. 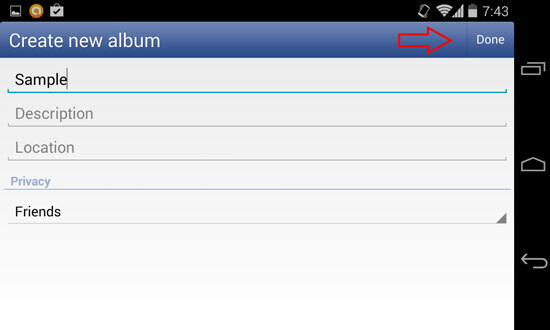 Your photos are automatically uploaded to the album you created/selected. To add more photos in the album just repeat step number 7. 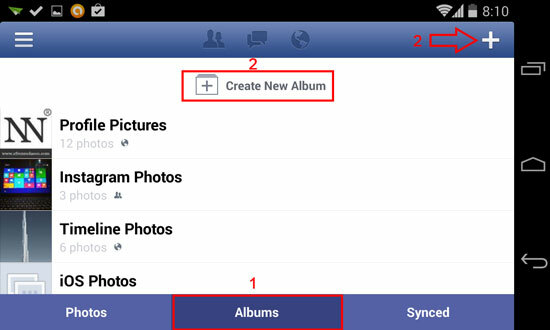 Uploading photos in Facebook using your Android device is almost the same as iOS device, you may follow Step 1 and Step 2 then step 3 is quite different, follow from step 3 onwards below. Create Album. To organized the photos, you must create Album first, tap on the album tab at the bottom, then tap on “+” at the upper right corner or “Create New Album”, see the screenshot. Album Name. To identify your album put name and description, you can also control the privacy of your album if you don’t want to show it publicly. Tap “Done” if you’re finished. 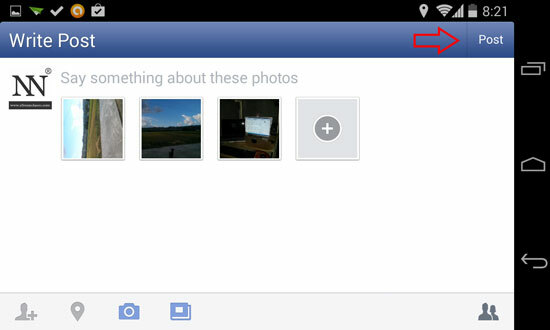 Tap on the album that you created, then tap on “Add Photos” to select the photos that you want to upload. Tap on the circle with “√” at the center located at the top-right corner of every photo, if selected the circle become green, you can select multiple photos at a time. 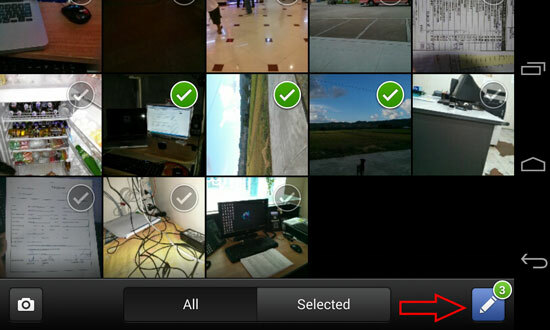 After you select the photos, tap on the pencil like button with the number of photos you selected on the corner. A new window will open where you can customize your photos by adding the location where it was taken. If you finished adding some info about the photos tap the “Post” at the upper-right corner of the screen. Your photos will automatically upload.